The Government has launched a consultation on two issues - the future of press regulation, and the potential need to commence part two of the Leveson inquiry, which would look at the relationship of the press with the police. The Department for Culture, Media & Sport and the Home Office yesterday launched a public consultation, which will close on 10 January, entitled Consultation on the Leveson Inquiry and its implementation. It addresses two separate but related issues relating to press freedom and practices. The first is whether to implement section 40 of the Crime and Courts Act 2013 - a measure that would make members of a recognised press self-regulation scheme exempt from paying their opponents' legal costs, even if they lost a court case. Some in favour of implementing section 40 cite the fact of Impress last month being recognised as a legally satisfactory self-regulator - the only body to win such recognition, with the Independent Press Standards Organisation not seeking recognition - as pressing the case for triggering the clause. On the second part – the police's relationship with media – the consultation notes that the Leveson Inquiry was set up in 2011. Part one examined the culture, practices and ethics of the press - and a report on the matter was published in 2012 following a series of high-profile evidence sessions. Part two of the inquiry was "intended to examine wrongdoing in the press and the police, including the failure of the first police investigations, corporate governance issues and implications for police and press relations", a Government news release says. The consultation asks whether continuing the inquiry would be "proportionate and in the public interest", or whether it would not be necessary, given that "the police service in England and Wales has undergone significant reform since the Leveson Inquiry, particularly in its relationship with the media". 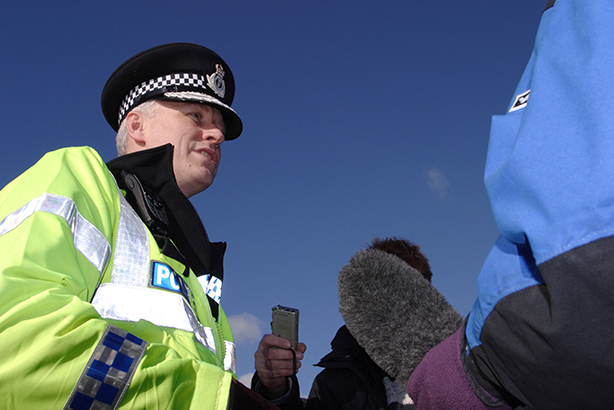 In the summer, the College of Policing – the body setting professional standards for police officers and staff – concluded a consultation into how, why and when police forces should speak to media. A report is due to be published in the new year. The college had already updated some of its media relations best practice guidelines in the wake of Leveson, in 2013. While Leveson is not on the official agenda, it is likely the issue will be discussed at the Association of Police Communicators' annual conference, which begins today. More than 200 people are due to attend the three-day event in Grantham. Complex, costly and confusing - will IPSO's arbitration pilot fly?